Avon cosmetics - improves skin texture, smoothens skin surface, oil clear, etc. 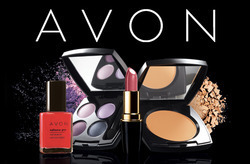 Avon cosmetics is leading day by day bcoz of its quality. Say good bye to your hair concerns with Avon Hair Care products that care, love and nourish your tresses. Catering to all needs of hair, you just can’t miss having Avon Hair Care. Foot Product Avon beauty product sat avon we have wide range of make up/ fragrances /personal care /body care/hair care & jewellery all these products are available in highly discounted rates & offers. The 3-in-1 Avon Color Kohl is a must have to define your eyes. Add more depth to your eyes with the smooth texture of buoyant colors.